This section includes information about where to gain education in Antigonish and Pictou Counties at any age. Please read over the following section for information about daycares, public school, homeschooling, post-secondary, libraries, and English as an alternative language courses. Pre-primary (ages 3-5) - provided at some public/private schools, day cares, non-profit organization and by individuals. There are a variety of daycare programs for children as young as new born until they start school. The government of Nova Scotia provides a daycare directory to find places in your area. * Depending on the daycare, the services they offer and the level of service will vary. In Nova Scotia, daycares can be regulated or not. For more information on the regulations of daycares please follow this link to Information for Regulated Child Care Settings, provided by the Education & Early Development Department of the Nova Scotia Government. Daycares can be run as for-profit or not for-profit. For detailed information about the public school system, please visit Going to School in Nova Scotia, provided by Education and Early Childhood Development in the Nova Scotia Government. The schools in the Antigonish County are under the Strait Regional School Board. This board covers 21 schools; six are located in Antigonish County. The schools in Pictou County are covered under the Chignecto-Central Regional School Board, in the Celtic Family of Schools. Pictou Landing First Nation School promotes and teaches the Mi'kmaq language and culture - they are located in the town of Trenton. There are French immersion programs offered at a variety of schools for different grades. The Strait Regional School Board and Chignecto-Central Regional School offers French programs at certain schools. Also, there are full French immersion schools, which have a separate school board, Conseil Scolaire Acadien Provinical. SchoolsPlus supports children and families by delivering government and other services at schools throughout the province. The services offered at each school are different but some examples are social work, health, justice, and mental health services. In Pictou County, the program is offered at three schools: A.G. Baillie Memorial School, New Glasgow Academy, and North Nova Education Centre. The program is offered at all schools in Antigonish County. Supports are provided throughout schools for children with disabilities. The available support depends on the child's needs. Detailed information about supports can be found at the school and/or at Equity & Support for Students, provided by Education and Early Childhood Development in the Nova Scotia Government. For adults whom have not finished a high school education there is the option of completing the General Education Development (GED). This is an international high school equivalency testing program. Nova Scotia Adult Education for information on adult education in the province of Nova Scotia. If you are interested in receiving an adult education in Antigonish, you can do so through the Antigonish County Adult Learning Association. Pictou County Continuous Learning Association (PiCCoLA) offers continuous education for adults in three locations: Pictou, New Glasgow, and Stellarton. An Adult Learning Program is offered at NSCC in Stellarton. Parents have the right to provide an education for their children outside of public school but the right steps must be completed. Private Schools: Our Kids provides information about private schools across Canada. Homeschooling: is an option if you do not wish to send your children to an academic institution. Information is provided by the Government of Nova Scotia. St. Francis Xavier University (St. FX) is located in the town of Antigonish. It focuses mainly on undergraduate programs. Nova Scotia Community College (NSCC) is a collection of colleges spread out across the province, with the Pictou Campus located in Stellarton. A variety of certificate and diploma programs are offered at each campus. Antigonish and Pictou Counties are covered under one public library system, called the Pictou-Antigonish Regional Library. The library system consists of 7 libraries and two rural access sites that span from River John to Antigonish. The library offers a wide variety of reading materials for all ages (books and magazines, both print and online), DVDs, study space, computer terminals, wifi, online research databases, programs, special events, and workshops. The Nova Scotia Office of Immigration, The Halifax Regional School Board, and The Nova Scotia Department of Education have joined forces in order to create the Newcomer's Guide to Nova Scotia Schools. This guide contains important information about the school system for children and their parents. The Antigonish County Adult Learning Association offers classes and one-on-one tutoring for speaking, listening, reading and writing in English. Teaching Immigrants English is an organization that helps people learn English in Nova Scotia. There are five tutors located in Pictou County. Please find their contact information here. 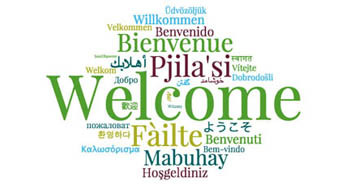 Language Education at a Distance offers a program called Language Instruction for Newcomers to Canada in order to teach people about Canada and the English language if you cannot attend classes on a regular basis. If you are interested in furthering your understanding of English in order to take classes at a community college or university, you can attend "English for Academic Purposes" through NSCC at the Institute of Technology Campus in Halifax. * Resources: The following are resources to help you practice and further your knowledge of the English language. WayGo: focuses on Chinese, Japanese, and Korean. At different times, school days will be cancelled - this is normally due to a storm and can happen on a regular basis during the winter. To find out about a specific meeting or service, contact the organization. For a list of all cancellations in the area, visit the East Coast FM radio website's cancellation page.